The Spanish company 3 Patas uses MoreApp for its contracts. Digital forms help them to work more efficient. They think that MoreApp is the cheapest and most intuitive forms app! 3 Patas, based in Madrid, gives dogs a shelter. When dogs do not have a family or when their owners are on holiday, 3 Patas welcomes them. The dog shelter uses MoreApp's digital forms for their short -and long stay contracts. The challenge was to find an app to realise contracts in a simple and accessible way. 3 Patas works with digital forms for contracts on a daily basis since there is a constant flow of new dogs coming in. Digitising this process is necessary to safe time and reduce paper use. It is close to one year ago that 3 Patas stopped using paper forms and started using digital forms. All the captured information is digitised, well organised and synchronised. As contracts with the residents involve prices that are fluctuating frequently, it is key that MoreApp enables them to adapt the forms easily, so that the prices can always be updated quickly. 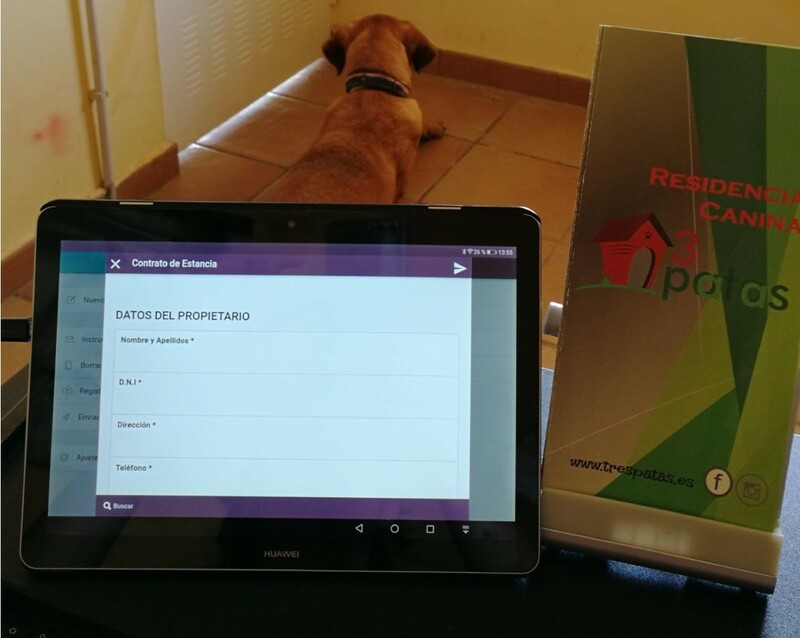 Next to the employees of 3 Patas, the vet clinic also works with MoreApp. They automatically receive the contracts via email and the process is fast and information is immediately updated.